I missed my 4:00 appointment with the Lord. I can’t believe I overslept on day one. I had great intentions. I even set my alarm, albeit for 4:30….but hey, I set it! Right? I know trying to short Him 30 minutes is not a great start, but you need to understand. I LOVE my sleep! I absolutely adore sleep. So rest assured (pun intended), I did not like it one bit when I heard him whispering to me to meet him at 4 am, emphasis on the A and the M! My normal start time is 5:30. I hit the ground running. I have to get all three children ready, myself ready, pack lunches, take care of the dog and leave the house by 6:30. This is a somewhat maddening routine because children do not have the word “rush” in their vocabulary. However, I do have it down to a science. Now, this morning, I had to do my entire routine and somehow squeeze in my late appointment. I herded all the children to the van, buckled them in, jumped in the front seat and grabbed my Bible. I threw the book open and ravenously scarfed down a verse as if it were a sausage biscuit. Being very careful to try and chew slow before I swallowed the verse down, however. I wouldn’t want to choke on it. I washed the verse down with my cup of coffee and I was on my way! There it was, from the mouth of my little girl, life-giving words to fuel my day. At a young age, here she was applying Sunday’s message to Monday’s needs. I was mentally struggling with feelings of insecurity that evaluations can stir up when I hear the words “HIS IMAGE”. I am made in “HIS” image. What in the world do I have to feel insecure about? A child’s Sunday School lesson had spoken to my direct circumstance. What a faithful God, who gives me grace when I slack and oversleep. A God, who despite my attempt to overcompensate with a “fast food” quality of quiet time, would use my own young child to speak directly to me! Are you struggling with your quiet time? 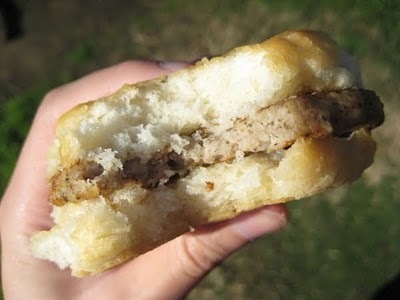 Trying to “cram it in” (like that sausage biscuit) and finding that you are failing miserably? You are in good company. But take heart! He promises when you draw near to Him that He will draw near to you! James 4:8 says “Say a quiet yes to God and He will be there in no time! (MSG)” Don’t give up! 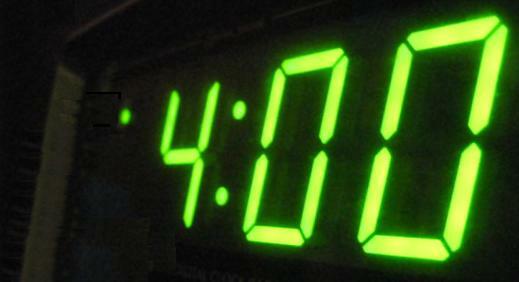 As for me, I am setting my alarm… for… this is painful… 4 am. No doubt, you have heard the expression concerning “15 minutes of fame.” You’ve probably even used it in conversation. It’s a popular saying that’s often quoted and somewhat overused. 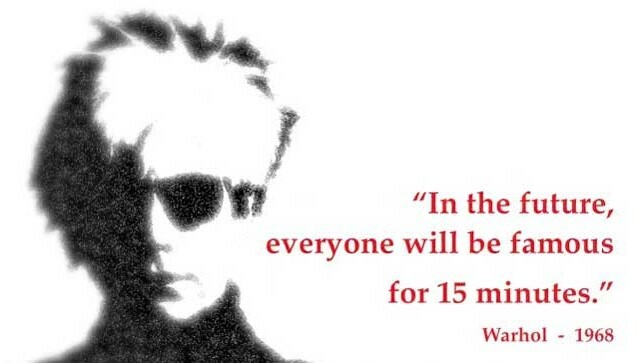 It implies each person wants to be famous and will have at least 15 minutes of fame during their lifetime. Interestingly enough, if you look up the expression on Wikipedia, credit for it is given to Andy Warhol who likely adapted it from a conversation at a photo shoot with photographer Nat Finkelstein. In any case, this got me thinking about something far greater than all the one-hit wonders (in all genres of life) out there who clamor for their 15 minutes, and worse, squander it. So here’s my question: What if everyone took advantage of 15 minutes of faith rather than fame? Just think about the ripple effect this would have. Fifteen minutes is not a lot of time. 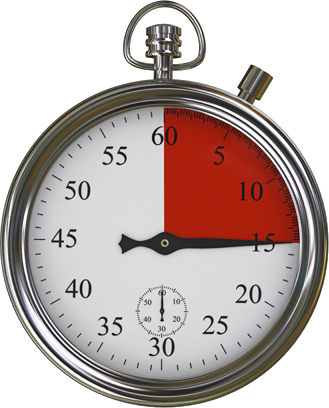 But with God, time can stand still and these 15 60-second intervals can be more than enough time for the Holy Spirit to penetrate someone’s heart. If we all made the most of 15 minutes of faith, it would be a sweeping platform to share Jesus. It could be a catalyst that would lead to a once-in-a-lifetime foundation of faith for ourselves or others who need to hear the Word. Now, let me be clear regarding my thought process here: 15 minutes of faith is not sitting through 15 minutes of a Sunday church service. It’s taking an opportunity and making the most of it by taking action. God offers these opportunities to us all the time when our paths cross with those who need what we can offer or share and vice-versa. We need to recognize these opportunities and take Him up on them. In fact, He presents many “15-minute” opportunities to us all the time. Some challenge our faith and some build our faith. It’s simply a matter of taking advantage of the opportunities when offered. I had a 15-minute opportunity just the other day when a co-worker and I engaged in “God-talk.” It started over Instant Messaging and ended with Linda asking me to pray for a struggling family member. Being able to encourage one another to take a stand for our faith and bring it to the very people who need Jesus the most is the epitome of an opportunity. In fact, this is the opportunity of a lifetime for any Christian – every time it presents itself! She will be able to convert our discussion to be her “15 minutes of faith” for which she will share with the family member’s parents – who are new Christians – and eventually the young man himself. Taking the form of a domino effect, this will hopefully lead to additional 15-minute opportunities for Linda, and then the parents. With this expression being one that has endured over 45 years of pop culture vernacular, it seems to me 15 minutes of faith could endure even longer. 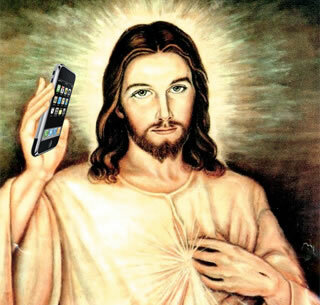 After all, has the Good News that is Jesus not endured over 2,000 years? It’s amazing what a 15-minute investment can do in the hands of the Lord. How can you make the best use of your 15 minutes of faith? 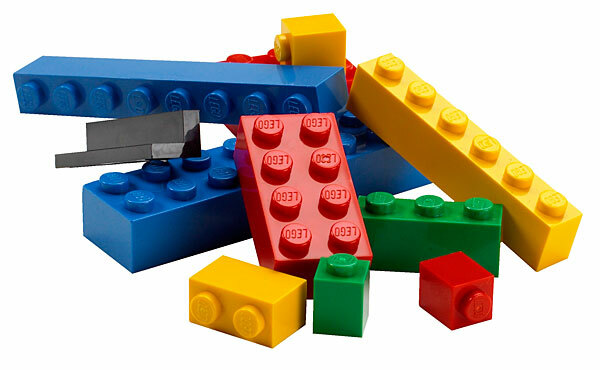 Who knew Legos could reveal spiritual truth? Prior to the fervor of the recently released Lego Movie, my little girl received Legos for Christmas. And to my surprise, she really took to them well. At first, I was not 100% convinced she would have the patience or the stamina it took to build with each individual piece. I was pleased when she asked me to play with her. I know one day my sweet little girl will become a teenager who longs for alone time, so I cherish every second she wants to spend with me. With permission granted, I settled in for some Lego-building fun. Popcorn, check! Sprite, check! Let’s get to building! What I quickly realized, however, was my role in this playtime”was simply to be helper. The task at hand was one she wanted and needed to complete herself. She simply longed for my company. She wanted me near for reassurance. As I sit and watched her read each step of the directions, I quickly became bored and wanted something to do. She had the directions, but I had the big picture on the box. So, I began to piece together one of the scenes. Okay, back to my role as watcher and helper. Occasionally, she would ask me for help when a piece was too hard to snap together. As time went by, I was surprised how much joy I experienced sitting there just watching her. I slowly began to take a more behind-the-scenes role… albeit, a role unknown to her. You see, I had the big picture…so, as she read each direction, I could easily see what piece she needed next. She was super-focused and very intense. When she looked up ready for the next step, she was surprised to find that I had the exact piece she needed next waiting in my hand. That’s when it struck me. I love parenting. I really do. It can be so stressful and overwhelming, but when we s…l….o…w… down and really pay attention, our earthly parenting can become the perfect analogy for exactly how God interacts with us. Here I was simply building Legos with my daughter when a great spiritual truth revealed itself to me: He’s always there isn’t He? Lovingly observing as we read His instructions. Actively waiting for us to simply ask for His help. And just when we get frustrated and think we can’t do it anymore… there He is holding out His hand with the EXACT piece we need. You see, we have the instructions but He has the big picture! He is the ultimate parent. A wise parent knows they cannot do for their children what they need to do and should do for themselves. Jesus didn’t have Twitter, but he did make a statement in less than 140-characters that was succinct, direct and did not mince words. Jesus told his disciples, “I am the way, the truth, and the life. No one can come to the Father except through me (John 14:6). The fact is, Jesus tells us to follow him because it’s only through him we get to spend eternity in heaven. While Jesus is one with the Father, he is the conduit between God and our sinful selves. It is through him we receive access to the Holy Spirit, the Advocate of truth. It’s through him we receive access to the gates of Heaven. It’s through him our sins are forgiven. As you know, to play the game, a leader is chosen and everyone else follows everything they do. If someone fails to follow or mimic the leader, they are out of the game and lose. The last one standing who has precisely followed the leader’s movements and gestures wins the game. Our faith is similar to the Follow the Leader game since, when we choose Jesus to be our leader, we are choosing to follow him. We choose to follow his actions and walk in his footsteps. 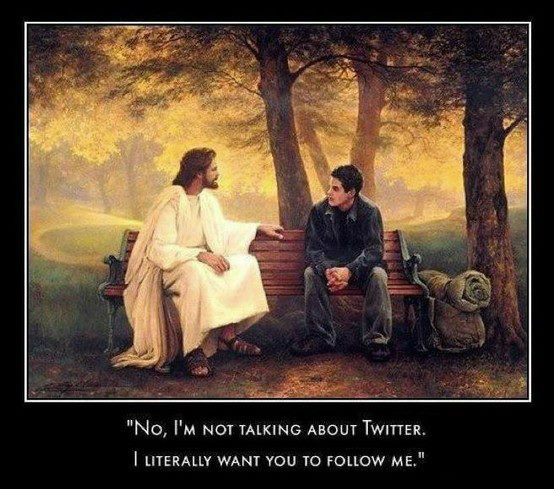 Not following Jesus is no game, but rather a losing proposition. We can get off track following the wrong leaders or the things we make idols in our lives. Those who are “out of the game” by not following Jesus, have lost their focus. They get distracted. Rather than following what Jesus wants for our lives, they are following themselves and what they want for their lives. Who’s the leader you’ve chosen to follow? Are you still in the game?